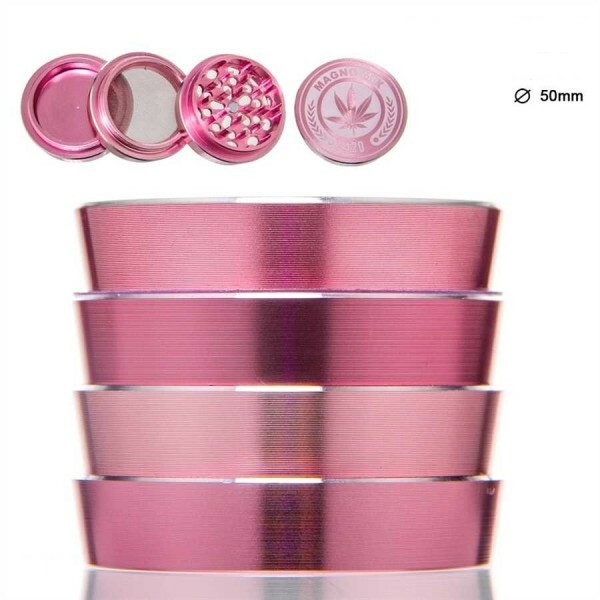 This 4-part Magno Mix Grinder of 50mm diameter is a unique smoking accessory! The Magno Mix Leaf 420 logo is imprinted on the magnetized lid that fits securely the shark-shaped teeth bottom, used for effectively breaking apart your herbs. A screen will filter the herbs so as you can gather the remnants on the kief catcher bottom and use them again.